Like the H1N1 flu virus that is the focus of growing public alarm, the Homeland Security State is a recombinant entity. 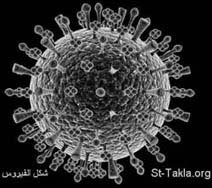 The H1N1 pathogen is composed of strains of influenza that don't naturally fuse together. In similar fashion, the Homeland Security apparat has subsumed numerous functions that are not mutually compatible. The DHS claims the power to regulate everything from border security to the political views of domestic "extremists" -- the latter being a relatively recent assignment. Within this mandate it also treats environmental disasters (earthquakes, fires, floods) and diseases as "security" issues as well, rather than as acts of God or the inhospitable results of impersonal natural processes. 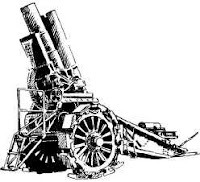 The ever-metastasizing Homeland Security apparatus. Whether or not a given calamity is the product of deliberate, organized human malice, the DHS is structured to pursue only one approach: It will expand the power of the political class while radically regimenting the lives of the productive. This means more arbitrary power in the hands of bureaucrats and their armed enforcers, and greater restrictions on freedom of movement. In Mexico, where the impact of the current outbreak has been most pronounced, the government has employed its emergency powers to shut down most of the country's commercial activity. Assuming that Mexicans comply, this order is tantamount to placing the entire population under quarantine -- which is to say, under house arrest. Don't imagine for a pico-second that officials on this side of the Rio Grande aren't taking notes. Social engineers despise genuinely autonomous individuals, people with the means to come and go as they will without permission from their superiors. Those who fancy themselves to be society's supervisors would love to pin the rest of us down like butterflies in a lepidopterist's display case, or cattle-pen us in urban reservations we can leave only with the state's generous permission -- and, even then, only if our movements can be tracked and recorded and used against us later. Tased and abused: Pastor Steven Anderson displays some of the handiwork of the intrepid sentinels of our sacred southern frontier. 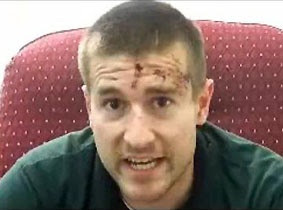 Beaten and tased for refusing a warrantless search at a "border checkpoint" well inside the U.S., Anderson is seen above after receiving medical attention. Below, right: Anderson with his wife -- who was born in then-Communist Hungary -- and three of their five children. These ill intentions are made obvious in the increasing use of checkpoints of various kinds -- sobriety roadblocks, seatbelt and child safety seat inspections, even "border enforcement" barricades established as much as 100 miles inside the territory of the United State(s). Pastor Steven Anderson, the Baptist preacher from Tempe, Arizona who was recently beaten and tased by Border Patrol Brownshirts near Yuma, can attest to the fact that it is potentially fatal for Americans to demand they be treated like citizens rather than serfs at such checkpoints. Anderson, who supports himself and his ministry through a full-time job selling and installing security systems, frequently travels throughout the Southwest. In a recent telephone interview he explained to me that until recently he endured the Border Patrol checkpoints as a nuisance. However, he continues, "I just got sick of being treated like a criminal or a terrorist in my own country, and decided that it was time to start asserting the rights that the Constitution guarantees to me." After he refused to permit an unconstitutional search of his vehicle during his most recent checkpoint stop, Anderson found himself face-down in a pile of broken glass after Border Patrol and state police shattered the windows of his vehicle. Despite the fact that he put up no resistance, Anderson was beaten and tased repeatedly while pleading for mercy. Predictably enough, after being subject to a criminal assault conducted under color of state "authority," Anderson was charged with "disobeying the orders of a law enforcement officer." That charge reflects the fundamental assumption of martial law: The demands of anybody in a government-issued costume are to be obeyed by civilians without hesitation, even when they have no legal or constitutional justification. The Regime insists that constitutional guarantees against warrantless (and suspicion-less) searches don't apply at border checkpoints. Given that an estimated two-thirds of the population live and work within this exclusion zone -- what the ACLU aptly calls a "Constitution-Free Zone" -- it would be wise to see Pastor Anderson's experience as a foreshadowing of outrages soon to come as our rulers constrict our freedom of movement. Another manifestation of this urge to pen up the population is the proliferation of narcotics enforcement exercises involving school lockdowns. Exercises of that kind take place somewhere in this country every week, and they tend to happen with greater frequency in the Spring. Typically such raids produce little or no evidence of narcotics activity, and are justified as a way of demonstrating a community's "commitment" to suppressing the consumption of certain proscribed substances. 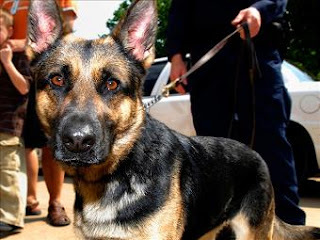 Following one such "routine" warrantless drug sweep at Maricopa High School in Arizona, school and police officials explained that its purpose, in addition to sending the familiar "message" about narotics use, was to provide "several police agencies and canine officers a chance to practice their skills in drug detection," and to offer the police dogs in particular "a chance to work in a real life atmosphere rather than the `sterile' conditions they train in." So teenagers were given the opportunity to be treated as prisoners while being used as guinea pigs in a police training exercise. The assumption here appears to be that both sets of skills -- those of police in exerting control over civilian populations, and those of civilians in submitting to such impositions -- will become increasingly useful in the future. Rin-Tin-Tin he ain't: This noble German Shepherd had the misfortune of being trained as a narcotics-sniffing dog, an unconscionable act of government animal abuse. This beautiful but unfortunate canine is seen at a recent drug "lock-down" at an Arizona high school. Chances are, we'll see opportunities for the use of both skill sets as the Swine Flu "crisis" unfolds. Shortly after 9/11, the Department of Health and Human Services disseminated a Model State Emergency Health Powers Act (MSEHPA). As health freedom activist Susan Blevins observed in a critique of the model act, that template was designed to give "state public health officials broad, new police powers ... in the name of controlling epidemics of infectious diseases during public health emergencies." *Public officials would be permitted to impose rationing of food, fuel, and various other critical commodities, including explosives and -- most critically -- firearms. Given the scope and invasiveness of the MSEHPA, resistance coalesced among freedom activists, particularly those particularly concerned about privacy and the right to armed self-defense. Some of the most onerous aspects of the model legislation were modified. To date, according to The Center for Law & the Public Health at Georgetown and Johns Hopkins Universities, thirty-eight states and the District of Columbia have enacted a total of 66 measures incorporating provisions derived from, or inspired by, the MSEHPA. Just days ago, the Massachusetts legislature passed a Disaster and Pandemic Preparation and Response Bill that incorporates some of the model legislation's draconian elements, including provisions for mandatory quarantine (once again, a form of house arrest), seizure of property, and rationing of various commodities at the discretion of the State's Medical Commissioner -- a position better suited to a title such as "czar" or "commissar." Prior to the most recent Swine Flu outbreak, the Massachusetts Pandemic Response Bill had been dammed up in committee. This changed very quickly in response to the media-abetted public furor over a flu outbreak that -- so far -- while admittedly nasty and worrisome, shows few signs of growing into authentic pandemic. As I've noted before, we're already on the wrong side of the Rubicon regarding the militarization of domestic law enforcement and emergency response agencies. 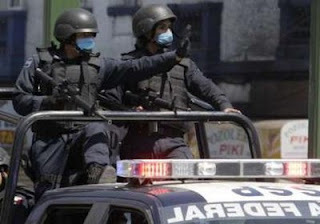 In Mexico, the role of the military in response to the outbreak is becoming increasingly overt and heavy-handed. As Matthew Rothschild of The Progressive points out, here in the U.S., the prospect of a pandemic may result in a more expansive role for the Pentagon's NorthCom in administering public affairs. NorthCom, it should be remembered, is in charge of the combat team now permanently assigned to domestic missions -- including, as something other than luck would have it, dealing with national "health emergencies." Whatever its immediate impact on public health, the current flu outbreak will do a great deal to exacerbate the infection of police state militarism afflicting our body politic. It's quite likely that this year's flu season will turn out to be perfectly unexceptional. But this won't deter our rulers from exploiting this opportunity to capitalize on public fear as a way of advancing a sinister redefinition of civic "normalcy." An artifact from a time when civilization itself was in peril: This tapestry captures some of the many horrors of the 14th Century Black Death, which claimed an estimated 75-200 million people, many of them perishing from secondary causes created by government policies (such as increased taxation, fees, and fines). The prospect of nuclear annihilation is dreadful, but difficult to make vivid or tangible to the individual. Unless it's wedded to a larger narrative -- such as an irrepressible conflict between superpowers, or the prospect of nukes in the hands of nihilistic terrorists -- the specter of The Bomb has little to offer in terms of "practical politics." Much the same can be said of the practical political value of concern over the collapse of the global biosphere through anthropogenic environmental contamination. The revenge of a poisoned planet is the stuff of engaging science fiction and -- what's much the same thing -- political careers crowned by Nobel Peace Prizes. But relatively few people, none of whom would make a bearable dinner companion, share Comrade Gore's insistence that saving the environment should be the "central organizing principle" of human society. And, come to think of it, people of Gore's ilk don't share that perspective, as well: Despite the fact that they would force the rest of us to live like medieval serfs, they're willing to sacrifice none of the amenities that give them a Sasquatch-sized "carbon footprint." Even though nearly eight years have passed since 9-11, we need little reminder of the shock value of mass terrorism. But even truly dramatic terrorist attacks are peripheral to the concerns of most people. While 9-11 left us shocked, horrified, and incandescent with rage, it was a survivable atrocity. It didn't threaten American society at an existential level, despite constant efforts by opportunists of the neo-Trotskyite variety to retro-fit the attack with an apocalyptic subtext. That being said, it must be admitted that our rulers have extracted tremendous practical political value out of the 9-11 attacks. A literal revolution in political, legal, and geostrategic affairs was brought about because of that one terrible morning. Ten years ago, it would have been difficult to imagine that, a decade hence, the media and political Establishment would treat as a given the notion that the President of the United States has the authority to lock away people at will and have them tortured at his discretion. Such is now the case, however, because of the practical politics of post-9/11 America. Having used some variation on the expression "practical politics" several times, I really should specify what it means. That phrase comes from H.L. Mencken's familiar insightful definition: "The whole aim of practical politics is to keep the populace alarmed (and hence clamarous to be led to safety) by menacing it with an endless series of hobgoblins, all of them imaginary." 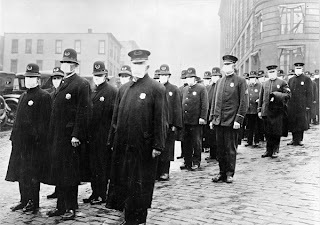 Outbreak: Above -- American victims of the Spanish Influenza epidemic of 1918; below, left -- police officers and many other public officials took to wearing surgical masks during the epidemic. I would amend that assessment only to the extent of noting that not all of the threats exploited by political rulers are imaginary. A substantial number of them are quite real, but magnified unreasonably to such an extent that they become caricatures of themselves. The current "public health emergency" over the prospect of a flu "pandemic" appears to fall into that category. Unlike the threats discussed above, the prospect of a plague is terrifying in a deeply personal sense. Relatively few people have experienced terrorism, and only a tiny handful of people have witnessed first-hand the horrors of a nuclear attack. None of us has lived through the a global environmental collapse. But each of us has vivid and ineradicable memories, woven into the very tissues of our bodies, of what it feels like to be sick and helpless. Although the concept of human extinction through some vast nuclear or ecological disaster is an impersonal abstraction, the prospect of individual extinction is quite understandable. So, in terms of measuring relative potency as a weapon of practical politics, microbes -- despite being all but weightless -- have far greater throw-weight than nuclear megatons. All of this should be kept in mind as we try to assess the actual seriousness of the "public health emergency" declared on Sunday (April 26) by the UN's World Health Organization and the Obama administration over what is being described as a potential "pandemic" involving an oddly polyglot flu virus (designated H1N1) said to contain human, avian, and two varieties of swine flu DNA. Practically everybody is familiar with the seasonal affliction commonly called "the Flu." Relatively few are aware the Flu, now regarded as a common and conquerable illness, was once a terrifying plague, or that it continues to kill thousands of people every year. The "Spanish Flu" epidemic of 1918 claimed the lives of 583,000 Americans (many of them interred in mass graves), a figure that, in proportionate terms, would translate into more than 1.5 million today. 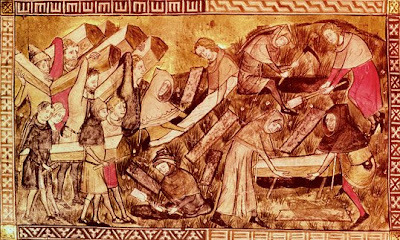 Overseas the death toll was even more terrifying: An estimated 20-50 million people succumbed to the sickness, a figure that rivaled the global body count compiled by the Black Death of the 14th Century. As is so often the case when Pestilence is digging its spurs into its white steed, its saddle partner, War, is sitting astride its own red mount and running rampant. The global paroxysm of lethal stupidity called World War I -- more accurately called the murder-suicide of the Christian West -- produced a splendid breeding environment for disease. 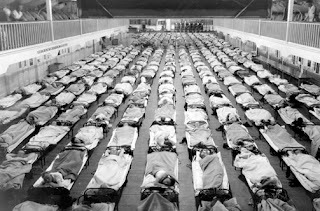 Millions of people were mired down in static trenches in conditions perfectly calibrated to compromise their immune systems. The war itself was the epidemic's most significant transmission vector, with some infected soldiers returning with the disease, and other doughboys, infected on the homefront, taking it back across the Atlantic to transmit to another hapless population. This is why roughly half of the American victims of the 1918 flu epidemic were young and previously very healthy people. The microbe behind the hideous 1918 outbreak was quite similar to the notorious H5N1 virus, better known as the Avian Influenza or "Bird Flu." Already designated the Next Big Plague by the medical branch of the Homeland Security Apparatus, the Bird Flu has been the focus of a multi-billion-dollar international system of monitoring and vaccine storage. 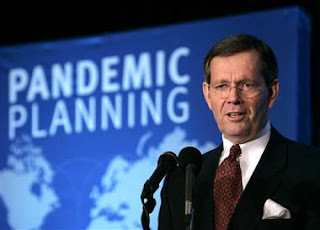 In a speech delivered on October 27, 2005, then-Secretary of Health and Human Services Michael Leavitt conveyed the cheerful news that "during at least ten periods in the past 300 years, viruses have mounted massive pandemic assaults that made masses ill and caused millions to die.... If the past is prologue, we are overdue for the next pandemic." Given that most "public servants" are in occupations that thrive on alarmism, we really shouldn't expect sober risk assessments from them, and Leavitt's treatment of the possible "pandemic" was no exception to that rule. Tom Bethell of the American Spectator, author of a layman's guide to de-politicized science, put recent pandemics into a more rational perspective. At the beginning of this decade, SARS -- Severe Acute Respiratory Syndrome -- was expected to mow down millions; to date, fewer than a thousand unfortunate people have been killed by that affliction. "To put that in perspective," observes Bethell, "about 55 million people die around the world every year, 2.4 million of them in the United States. It is said 1968 was another `pandemic' year; 34,000 Americans died of flu. But about that many die of flu each year -- most [from] pneumonia." 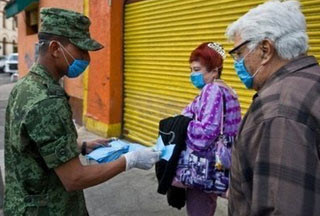 Echoes of a previous plague: A soldier distributes surgical masks to civilians in Mexico. Health and nutrition expert Bill Sardi points out that "Fear of a [flu] pandemic is traveling faster than the disease and health officials may have overreacted. The declaration of a health emergency was based upon an estimated 20 cases of human swine flu in the United States and no deaths, and about 1300 cases and 80 deaths in Mexico...." Sardi takes note of the fact that the current medical emergency "appears to be a fully orchestrated flu pandemic." For instance: A local newspaper in Seguin, Texas reported that health officials in Guadalupe, Texas were preparing for a May 2 exercise in which "1000 volunteers would attempt to vaccinate the entire population of the county, 115,000 people, in 36 hours." According to this account, "Guadalupe County emergency management and their counterparts around the country" were training to deal with a scenario involving a mass plague because "in the history of humankind it happens once every 100 years or so -- and the time is coming for the next one." Or, as Mike Leavitt put it four years ago, "We are overdue for the next pandemic." What if certain people became impatient and decided to speed things up just a touch? Sardi points to the interesting fact that a Boston vaccine manufacturer called Replikins, Ltd. claims to have been given advance warning of the H1N1 Swine Flu outbreak a year ago. That prior warning supposedly resulted from a "partnership" arrangement with the federal government that yielded a technology that supposedly can anticipate viral mutations 1 to 3 years in advance. There are many people who cling to the comforting illusion that people employed by the government ruling us are capable of such detailed foresight. I'm confident that none of them regularly reads this blog. I know for certain that none of them writes for it. This leaves us with the possibility that the virus behind the current scare -- which, according to several well-credentialed medical experts, appears to have been synthesized in a laboratory -- was deliberately unleashed on the public. Is that planning to deal with a pandemic, or planning to precipitate one, Mike? This would not necessarily have been the work of the US government; it could have been carried out by other parties, whose actions were known, in detail, to the government some time ago, as it made plans to deal with the outbreak in the most politically profitable fashion. Although one understandably recoils at such a suggestion, it's worth recalling that the pathogens used in the post-9/11 anthrax attacks were cultured at Ft. Detrick. Nor should it escape our attention that there is an investigation presently underway to determine what happened to a number of viral samples missing from Ft. Detrick's biological select agents and toxins (BSAT) stock. Frederic Bastiat famously said that government expands its power by creating the poison and the antidote in the same laboratory. This could be an instance in which the Bastiat formula was followed in something other than a metaphorical sense. Even if we're merely dealing with a natural mutation of a particularly nasty kind, we can expect government policy to exacerbate the situation in perfectly avoidable ways. During the Black Death, ruling elites with the means to minimize their exposure to disease raised taxes, fees, and fines on peasants, leaving them more destitute and thus in even greater danger. We've noted that war is an excellent breeder of lethal diseases, and perhaps the most efficient means of transmitting them world-wide. Increasing political control over medical assets is likewise a good prescription for prolonging a medical crisis and enhancing its lethality. Whatever else may occur in the present emergency, we can expect the Obama administration to seek greater centralized control over the emergency response system. In the unlikely event that this emergency does metastasize into a legitimate pandemic, the Obamatrons will have a ready-made rationale to mobilize the entire machinery of the Homeland Security State. Despite the dangers that emerge from the microbial world, of this we can be sure: There is no deadlier affliction than the disease referred to by R.J. Rummel as the "plague of power." This is why wisdom dictates that we examine the current "public health emergency" with a properly cynical view of the members of the political class, who stand to profit from it. Rep. Ron Paul, M.D., offers his views of the influenza scares of '76 and '09. A memo issued by Bridger McGaw, the DHS assistant commissar for the "private sector," notes that "The Department of Justice has established legal federal authorities pertaining to the implementation of a quarantine and enforcement. Under approval from HHS, the Surgeon General has the authority to issue quarantines." In addition to the Coast Guard and Customs, federal agencies authorized to enforce quarantines include the U.S. Marshals Service, the FBI, and the wise and thoughtful people in command of the criminal syndicate called the Bureau of Alcohol, Tobacco, Firearms, Explosives [and Quarantined Citizens]. Declan McCullagh of CBS News, who first reported about the memo, observes that a Pentagon planning document states that the military "is prepared to assist in `quarantining groups of people in order to minimize the spread of disease during an influenza pandemic' and aiding in `efforts to restore and maintain order.'" This offers yet another convenient detour around the much-ignored Posse Comitatus Act, and another promising avenue for those seeking the imposition of undisguised military rule. My thanks to Bill Sardi for sharing his views with me, and to reader R.W. for providing information on the missing pathogens at Ft. Detrick. 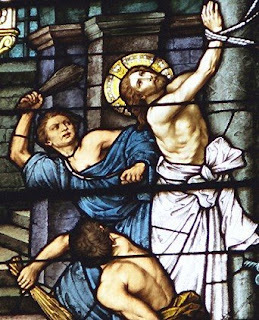 He was tortured, too: Our Lord was "scourged," which means that He was turned over to the ministrations of professional torturers, before being sent to the cross. And of course, crucifixion itself was a method of state execution through torture. Jailer: Do you believe in anything? Prisoner: I believe in Allah. An exchange between an Iraqi detainee and his American captor in Baghdad's Abu Ghraib prison. During a call-in radio program broadcast in Moscow in the mid-1980s, the host -- a Communist hack who displayed nearly Hannityesque servility toward his party masters -- got tangled in his talking points. At one point in his peroration, the Party mouthpiece insisted that the decadent West "stands on the brink of collapse"; shortly thereafter, he pronounced the glad tidings that the Soviet Bloc "is about to overtake the West!" A few minutes later, a listener called in to pose an earnest but puzzled question. "Comrade, you said that the West is on the brink of collapse, and you also said we're about to overtake them," the caller observed. "But doesn't that mean...?" The question trailed off into an awkward silence as the host suddenly understood that the term of his accidental syllogism would be that the Soviet Bloc would collapse before the decadent West. Over the past two weeks, the leading voices of Republican conservatism have caught themselves in the coils of a similar snare. A fortnight or so ago, GOP-aligned pundits and activists let loose a protracted communal howl of outrage prompted by disclosure of a Department of Homeland Security assessment identifying "rightwing extremism" as a potential breeding ground for domestic terrorism. Much of the indignation was purely theatrical, of course with folks like Rush Limbaugh and Pat Robertson preening as supposed victims of official persecution. Immediately after laying claim to the status of innocently accused terrorist suspects, the same retinue of Republican hacks -- without breaking stride, mind you -- redirected their energy into the defense of torture as a means of interrogating terrorist suspects. The time-frame in which this turnaround took place shouldn't have over-taxed the attention span of the typical talk radio addict, and the implicit logic of these positions should have been obvious even to people habituated to reflexive sloganeering, rather than ratiocination. Yet there it is: In defending the atrocities committed by the Bush administration, the Republican-centered conservative movement effectively endorsed the proposition that it is entirely proper for the government to torture terrorist suspects -- including, presumably, "rightwing extremists" deemed a domestic terror threat by the incumbent government. This irony is reinforced by the fact that the Bush/Cheney wing of the conservative movement champions the use of torture techniques that were devised by Soviet and Chinese Communists for use against American military personnel, as well as one particular method -- controlled drowning, also known as "waterboarding" -- that was favored by Cambodia's hyper-murderous Khmer Rouge. 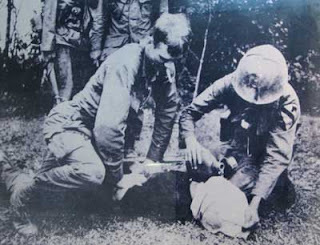 It didn't work then, either: Waterboarding as carried out by U.S. and allied troops in Vietnam. Twenty years ago, as the Soviet Empire began to implode, many people -- myself among them -- objected to the fact that the term "conservative" was routinely used in the media to describe the most doctrinaire elements of the Communist Party. The remnants of the Republican-centered conservative movement appear determined to vindicate that useage as they rally in defense of the Leninist principle of unfettered state power vested in an executive oligarchy, and the practice of torture as the defining privilege of that ruling elite. One of the brightest luminaries in the conservative blogosphere insists that any effort to prosecute Bush administration officials for ordering and carrying out torture is nothing less than an effort "to criminalize what are essentially policy differences." Ah, yes, of course: When crimes are committed by governments, they are magically transformed into "policy." So when a Republican administration institutionalizes the use of torture techniques that were prosecuted as war crimes following WWII, we're to believe that those crimes were sanitized through the redemptive power of the executive branch. Some of the more sophisticated members of the GOP's PR apparat -- for instance, attorneys David Rivkin and Lee Casey, who served in the first Bush administration and defended every expansion of presidential power under Bush II -- took a Baghdad Bob approach (that is, brazen, defiant denial of the obvious) in dealing with recently disclosed memoranda and other documents relating to the Bush administration's torture program. Besides, Rivkin and Casey continue, the use of "enhanced" interrogation techniques (which is exactly the same phrase, translated from the German, that the Nazis used to describe exactly the same methods) saved us from a post-911 "second wave" of terrorist attacks. For example, the repeated waterboarding of al-Qaeda thug Khalid Sheik Mohammed supposedly helped abort a plot involving "the crashing of another airplane into a building in Los Angeles." The inclusion of that detail demonstrates the patent dishonesty of Rivlin and Casey's argument (an old Bush White House soundbite that was also regurgitated by former Bush speechwriter Marc Thiessen), since Mohammed wasn't captured until more than a year after the supposed plot to bomb L.A. was foiled. It is now clear to the point of being irrefutable that the origins of the Bush administration's torture program had nothing to do with protecting the United States from al-Qaeda terrorist plots. Instead, the objective was to compel detainees to provide "confirmation" of a supposed operational connection between Saddam's regime and al-Qaeda, thereby forging (in the sense of "fabricating") a link to 9-11 that would offer a pretext for the war Bush and his handlers plotted even before they were settled in at the White House. 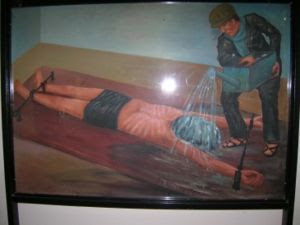 How the Khmer Rouge did it: Waterboarding as practiced by the murderous Cambodian Communists. This is an entirely appropriate -- which is to say, Soviet-inspired -- use of torture. As a method of extracting reliable intelligence, torture is notoriously ineffective and counter-productive. But it is a splendidly effective way to extort false confessions from victims. As employed under Stalin, the Soviet methods that inspired Bush's torture program were intended to ratify the policy decisions of the ruling elite, not to acquire objective intelligence that might contradict the designs of the Dear Leader and his comrades. Vladimir Bukovsky, the heroic former Soviet dissident who was sentenced to the psychiatric gulag in the mid-1960s, warned in 2005 that institutionalizing torture would corrupt and ultimately ruin whatever law enforcement or intelligence body carried it out. It would cultivate an entire population of professional torturers, individuals whose work requires them to emancipate the worst elements of human nature for use against the helpless. Not mentioned by Bukovsky, but becoming apparent now, is the damage that a program of torture can do to principled people who refuse to carry it out. The suicide of Army Spec. Alyssa Peterson, which I described nearly three years ago and is receiving renewed attention now, was her desperate, despairing reaction to orders that she participate in the torture of detainees in Iraq. The Pentagon reacted to her death by carrying out the now-expected cover-up, which included destroying all of the critical records of the "interrogations" she refused to participate in. Like others in the employ of governments throughout history who rebelled at carrying out the order to torture other human beings, Spec. Peterson was able to recognize that even the enemy is made in the image of God. Torture is the repudiation of this idea of shared humanity; it treats the victim as something to be molded, through pain and terror, into a shape more compatible with the State's designs. But that process inevitably re-shapes those who carry out the torture as well. The torture regime created under Bush and Cheney implicated the political leadership in both branches of the Ruling Party. Its infection has deeply penetrated the tissue of the Homeland Security system. It has created what could become a self-sustaining corps of professional torturers whose depraved talents will not be employed only against foreigners, but will very quickly become "policy" in dealing with certain troublesome elements among the citizenry as well. That corps, incidentally, includes a large number of medical professionals who -- in a collectivist perversion of their Hippocratic obligations, collaborated in the torture of detainees -- including, God forgive us, children who were seized in order to gain blackmail leverage over a parent. In a profoundly sobering essay published by Foreign Policy, former Bush administration National Security Council member Philip Zelikow points out that there simply is no legal firewall protecting U.S. citizens from the torture methods used against foreign terrorist suspects. 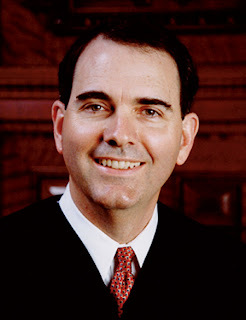 Referring to the series of legal memoranda issued by Jay Bybee, John Yoo, and others in the Bush administration's Office of Legal Counsel, Zelikow observes: "Once you get to a substantive compliance analysis for `cruel, inhuman, and degrading' you get the position that the substantive standard is analogous to U.S. constitutional law. So the OLC must argue, in effect, that the methods and conditions of confinement in the CIA program could constitutionally be inflicted on American citizens in a county jail." "In other words," he concludes, under the official assumptions embedded during the Bush administration, "Americans in any town could constitutionally be hung from the ceiling naked, sleep deprived, water-boarded, and all the rest -- if the alleged national security justification was compelling." During the Cold War, there was never any realistic prospect that the Red Army would conquer the United States. In much the same fashion, it is entirely inconceivable that Sharia law will be imposed on Americans any time in the foreseeable future. But owing to the triumph of totalitarian "conservatism" during the Bush era, it's all but inevitable that, in the near future, innocent Americans who fall into the hands of their own government will be subject to Soviet-style "enhanced interrogation" techniques. It turns out that the United States did indeed "overtake" the Soviets after all. For those who are interested, I've been regularly submitting items over at Lew Rockwell's blog. Please check out the Liberty Minute archive, as well. Live, from Metaluna, it's Crossfire! 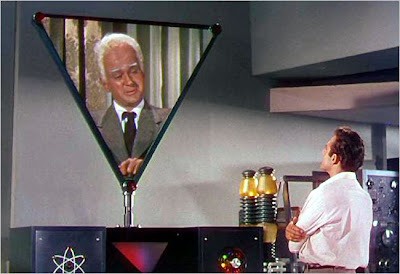 Dr. Cal Mecham consults with Metalunan emissary Exeter, living proof that Paul Begala (below, right) has sired extra-terrestrial offspring. Whenever I mischance to see Paul Begala reciting collectivist talking points on television, I'm struck by his resemblance to Exeter. No, I'm not referring to the Royal Adviser from Henry V, most memorably brought to life by the beloved British stentor Brian Blessed. 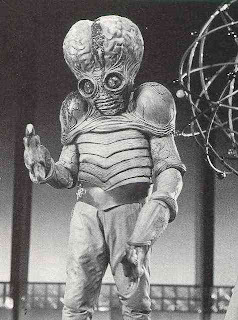 * I'm referring to the mysterious visitor from the planet Metaluna in the 1955 sci-fi classic This Island Earth. The resemblance, however, is limited to unfortunate coincidences of physiognomy. 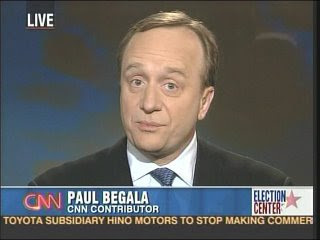 Begala is a creature of the entrenched collectivist elite -- a Clinton-era courtier-turned-talking head. Whatever his gig, whether in government "service" or as a member of government-centric asteroid belt of official sycophants called the "Washington Press Corps," Begala invariably extols the supposed virtues of the State and its lethal works -- regulation, regimentation, coercion, wealth redistribution, and the like. He is a perfectly suitable representative of the "new unhappy lords" described by Chesterton, who examine the rest of us through "bright dead alien eyes.... They look at our labor and laughter as a tired man looks at flies." Those "new unhappy lords," Chesterton explained, have delegated the hard work of coercion and extraction to others; they "fight by shuffling papers" and "dare not carry their swords." In this respect they're a bit like the advanced but effete Metalunans, who formed a supervisory "cognitive elite" that delegated the grunt work to fearsome mutants. With their own planet under terminal assault, the Metalunans secretly plot to dispossess humanity. They have developed the means to deprive human beings of their free will via mind-transference technology -- which operated on the same principle as "Hannitization," I suppose. Once again, the resemblances between that pulp-inspired fictional race and our ruling class are remarkable. There is one important sense in which Exeter differs from Begala, however: When the time came to carry out the subjugation of mankind, Exeter rebelled, eventually rescuing the heroes (Dr. Mecham and his inamorata, Dr. Ruth Adams) and sacrificing his own life to thwart the invasion. By way of contrast, Begala -- on the evidence available to us thus far -- will never repudiate his loyalty to the parasite class he has served so dutifully for so long. During last week's tax protests, Begala made himself prominent in the chorus hymning the praises of the redistributionist state, while execrating those who believe that they should be permitted to keep what they earn. In fact, Begala's essay was a remarkably pure expression of the view that the people of the United State (that is not a misspelling) are valuable only insofar as their persons and property are placed at that state's disposal. April 15, smarmed Begala, is "the one day a year our country asks something of us --or at least, the vast majority of us." For the superior beings in government-issued costumes or government-provided sinecures who "serve" us, he continues, "every day is patriot's day.... But for [sic] the rest of us, the civilian majority, the government asks very little. Except for April 15." Here Begala is peddling his proprietary mixture of ignorance and dishonesty by insisting that the government ruling us extracts taxes only on April 15, as opposed to mulcting most of us with every purchase and every paycheck. And he ignores outright the incessant theft of the value of our earnings by way of inflation. Through inflation -- the deliberate, malevolent debasement of the currency -- Government (the term in this instance includes the quasi-governmental entity called the Federal Reserve System) has made itself the only entity capable of stealing from us while we sleep without physically taking possession of a single thing. Inflation is immaculate pilferage, the defining crime of a system of official monetary fraud that was conceived in hell, gestated in the womb of the banker's cartel, and born as the squalid twin of the income tax system Begala considers the holiest of all public functions. Begala, like so many others of his despicable sort, insists that the terms "government" and "country" are synonymous; thus when he writes that "patriotism means putting your country ahead of yourself," what he is really saying is that the trait he mis-labels "patriotism" consists of "enduring with lobotomized tranquility whatever indignity or oppression the Holy State sees fit to inflict upon you, and displaying pathetic, servile gratitude that the State permits you to keep any of what you're honestly earned." Like collectivists of all varieties, Begala also maintains that "selfishness" consists of trying to protect one's own property, rather than coveting the earnings and property of others. From that perspective, one becomes a "thief" by keeping, rather than taking. Remember that principle well; we'll come back to it anon. This year Tax Day came shortly after Resurrection Sunday. On Easter, Christians celebrate the promise of ultimate freedom through the triumph of the ultimate Life-Giver. Tax Day, by way of contrast, is dominated by the ultimate life-stealer - - the state. Each of us invests a portion of our most perishable possession – time – to earn money. Thus every forcible imposition on our earnings, through direct taxation, or its more subtle surrogate, inflation, represents an increment of life stolen by the state. This isn’t true of free transactions, or the voluntary donation of wealth through charity. What the state ruling us takes, it steals at gunpoint. And what it steals from us it uses to blight the lives of others – either through domestic tyranny or military aggression abroad. Through taxation, therefore, the State manages to steal life incrementally, rather than destroying it outright. And for this singular labor, the heralds and high priests of the State admonish us to be abjectly grateful. As a result of last week's "tea parties" -- most of them little more than entertaining distractions for people associated with the Republican variety of totalitarian statism -- there was a great outpouring of indignation from the Obama-centered left over what was described as the "treasonous" discontent exhibited by protesters. Much of that commentary was broadcast via Democrat-friendly talk radio (which remains a niche market at present), and it tended to dwell on what we were to consider a significant contrast between the anti-tax discontent of the 1770s, and the supposedly adolescent "tantrums" that took place last week: You see, the patriots of the founding generation protested taxation without representation, while last week's events were carried out by people who lost a democratic election. They have representation, but the other side has the power. So there! Just shut up and submit! That analysis, ironically enough, is based on a correct understanding of the purpose of the voting franchise in a mass democracy: It is the process through which one faction, working in collaboration with the state, obtains the "legitimate authority" to decide how to dispose of the lives and property of others. When refined to its purest and most malignant form, democracy not only allows for the subjugation of an out-of-power minority, it makes the liquidation of that minority a realistic possibility. This brings us back to Paul Begala, our doliocephalic exemplar of the parasite class. As I've pointed out before, back during the sudden death overtime of the 2000 election, when the "Red State"/"Blue State" dichotomy was fresh in people's minds, Begala wrote another remarkable essay denigrating those he deemed to be politically retrograde. In that case, he wasn't discussing their resentment over taxes; he was treating them as a seething, undifferentiated mass of uncivilized bigots who not only weren't capable of self-government, but didn't deserve it. Whenever a paragon of progressive "tolerance" expresses such a view of "Red State" America, I find myself wondering why people of that persuasion want to share a country with the people they despise. If the "other side" consists of nothing but incorrigible bigots, why risk sharing political power with them at all? Why not secede, or encourage the other side to do so? "I feel pretty, oh so pretty!" Artfully coiffed Texas Governor Rick Perry, whose entire political career is an extended act of Estabishment hackery, serenades a crowd. Oh, but the very mention of the possibility of secession is criminal, at least as perceived by those of a "progressive" mind-set. During one "tea party" event, Texas Governor Rick Perry -- a Just For Men (tm) model chosen by George W. Bush as his successor; an establishment rent-seeker with no detectable ideological ballast -- publicly acknowledged the possibility that Texas could someday secede from the United State. This led progressives, their faces empurpled with patriotic rage, to accuse Perry of "treason." And it prompted David Brock's Media Matters organization -- dutifully recycling material assembled by the aspiring commissars at the Southern Poverty Law Center -- to put into circulation a cut-and-paste "links and ties" screed connecting Perry to all kinds of unsavory people who at one time or another supported the idea of an independent Texas. "During WWII my father was shot in defense of the greatest country on earth and I proudly wore the uniform of a United States Army Reserve officer," fulminated liberal blogger John Amato. "So I'm offended when it become [sic] acceptable for anybody to talk about Texas leaving the Union." Mr. Amato's delicate sensibilities aside, he and people of his persuasion miss a very important point: Texas doesn't belong to them. Neither do Texans. Neither do any of the other "Red States" or their inhabitants. However, there is a tacit yet unmistakable proprietary undercurrent whenever people of that persuasion discuss the concept of secession. Note how this passage refers to "states" in the plural, not to a singular national government. Interestingly, there is no language in the U.S. Constitution that makes "rebellion" against the general (or federal) government a form of treason. And since the federal government was designed to be an agent of the states, a state that chooses to withdraw from that relationship is hardly a "rebel." Furthermore, secession is not an act of war, since withdrawing from a social arrangement of any kind is exactly the opposite of aggression. But to understand how collectivists perceive the matter, we have to revisit a principle mention earlier -- namely, the idea that someone who resists surrendering his property through taxation is a "thief." In similar fashion, supporters of the unitary state that rules us insist that the act of revoking one's consent to be ruled by that state is "aggression," and the use of force to prevent an act of peaceful withdrawal by a state would be "defensive" in nature. "The final argument of kingly authority." This is why every conversation about the prospect of secession always leads such people to insist that the matter was "settled" by the so-called Civil War -- which is to say that logic was compelled to surrender before the ultima ratio regis. And this amounts to yet another key tacit admission: The United State(s), like any other leviathan polity, is held together by the implicit terror of the central government. As the southern states seceded from the Union, Abraham Lincoln famously fretted, "What, then, will become of my tariff?" Collectivists who despise the inhabitants of the Red States yet abominate the prospect of secession might well be entertaining similar thoughts: "If those living in the Red States leave, how will we tax them? How will we re-engineer their retrograde beliefs, regiment their workplaces, and regulate their repulsively individualistic lifestyles?" Blue State progressives can find consolation in the fact that most Red States appear to be just as collectivist are they are. In fact, by some measures Red States tend to be net tax consumers, rather than net tax payers. At least some of this reflects the cultivated dependency of southern states on the warfare element of the welfare/warfare state. Christopher Wesley of the Mises Institute takes note of an irony lost on Blue State critics of secession: "[T]he blue-tax paying states could secede, maintain all federal spending commitments in their states, and have money left over, while their red counterparts would pay a higher economic price for pursuing a similar course—at least in the short run." This would appear to offer a compelling case for left-collectivists to support secession, would it not? But buried even deeper in this alignment is another critical fact: There are no "Blue" states, only blue cities. The rural and much of the suburban population in both "Blue" and "Red" states consists of net payers of taxes; what Steven Malanga of the Mahattan Institute properly calls the "tax eater sector" is overwhelmingly an urban phenomenon (and former "community organizer" Barack Obama is a pure product of the urban tax parasite constitutency Malanga describes). What this means, of course, is that the schism between urban tax-eaters and rural/suburban tax victims will grow steadily wider until something -- either the present political/economic system, or the people ruled by it -- collapses altogether. With the government now little more than a full-service plundering arm of Wall Street, now is the best time for states to withdraw from the corporatist unitary state and repudiate its system of taxation, fiat money, inflation, and debt. Unfortunately, if there is one thing that both Red State national socialists and Blue State socialist nationalists enjoy more than hating and baiting each other, it's nurturing the prospect of ruling the other side -- and this simply can't be done if the "other side" is permitted the option of exercising the right to peaceful secession . So the exercise in mutual self-oppression continues, and the "New Unhappy Lords" ruling from behind the scenes continue to make us poorer and less free. *Or, as the name is properly spelled, BRIAN BLESSED!